Io sono abbastanza decisa negli acquisti al massimo chiedo consiglio mio marito ma tanto mi consiglia sempre la cosa sbagliata! LOVE the pale pink and black! Bag=checked. Shoes= checked. Accesories=checked. Great as always. thanks for ypu really nic comment and for follwoing, me, I will follow you, too, now. really nic shoes you, and I love your sunglassen, can you tell me the number of the sunnglasses of ray ban, please ? great look - pink and black really do go well together! how lucky are your friends to have you as a personal shopper?! i'd like to think i could help my friends and family shop, too! The whole ensemble is perfect! ke carina ke sei!Ankio voglio fare shopping!! cmq io come gusti sui vestiti sono un pò difficile..chiedo spesso consiglio ma se una cosa non mi convince possono anche dirmi che mi sta benissimo ma non la prendo!invece se una cosa mi piace proprio tanto,che mi innamoro(come mi è successo peresempio per delle scarpe o un vestito)me la prendo subito! I love the black&white outfit but what makes yours unique is your socks!cool look! 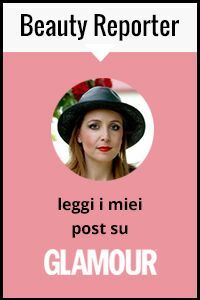 allora non sono l'unica a cui sono spariti tutti i commenti sull'ultimo post! So love the headband..such great details to your outfit! Great shoes too! che carino questo outfit! mi piacciono tanto le tue scarpe!a presto! Ciao Cara!grazie mille per il bellissimo commento sono commossa! AMAZING! I love sandals with socks!!! Ité perfect on your style!!! Pink & black is my favorite combination! I love your outfit. It is ADORABLE! Love your new pants. And they look really cute with the black tights and contrasting shoes. lovely outfit!! loving ur headband!! beautiful outfit and photos <3 love your cape!! I love your cute headband! Now following, remember to follow back via Bloglovin! thanks girl!! ok, lets follow each other!! Great buy, honey! Love your sandals! Lovely outfit, pink and black look great together and this is such a beautiful place to take photos. Thank you, for the sweet comment. Your blog is so cute and I love the layout. You have such an amazing style. New follower!!! Great style!! And I'm loving your shoes!! great heels! but they'll look better on bare foot! I love your shoes, and those trousers, they are so cute :). yes, we can follow each other!! tu sei stata dolcissima ti ringrazio infinitamente e ti seguo con immenso piacere! bellissimo outfit adoro i colori , tutto perfetto! Very cute photos! I just bought some heels exactly like yours, but black! follow eachother? bellissima, adoro il rosa pallido! Yay for pink and black! I also have a blog and I am having a contest online! I'm giving away GREAT perfumes. You should check it out! Let me know what you think about my blog. High heels are gorgeous but sometimes its good that you have some variety. I follow you, follow me back?! your posts are soo CUTE! I love the shoes that you are wearing. ANNND… the location?! omgodness it looks so beautiful!! I love how you have 2 different languages on your blog! lol Very unique! OHH nice headband too. I love how you paired everything to the T. In terms of advice, sometimes I give advice to friends and other times I get it from the sales associate. Your blog is so cute! I love the photos! Right there with you on black x pink combo! passa da me!! C'è una sorpresina per te!! Oh, of course we're gonna follow you, your style is amazing! Love your shoes here, such a great look! Great look. Love your shoes. love this location as well. ps: thanks for the very kind comment on my blog. you made my day! Second: thanks for reading and following my blog.. hope you keep liking it! And last but no least: I absolutely love Gossip Girl as well, and yes- Blair is the best character, and I hope she stays with Chuck in the end!! Great outfit! Love the heels. Hello girl! How lovely your work on your blog! I'm following u now! Surely I will mark presence whenever I can! It is an honor to share their tips and great pictures! I am amazed! I felt very proud and honored by your visit. Thank you for your participation in my last post, I loved your comment, I appreciate your heart in recognition of my work and to be following me! Have a nice day! Always come back, ok?! By the way, I love the mix of colors in black and beige! Is very CHIC! wow davvero molto carina come sempre!! adoro le scarpe ed ovviamente anche la gucci!! la collana è davvero carina! great pants and cute accessories! thank you ,love your outfit.I follow you now ^^follow back? i absolutely love pink and black together they complement each other so well. following you, follow me back? I´m follow you now, follow me back! Hey girl! Thanks for stopping by my blog and leaving such a sweet comment :) Great pictures!! Stop by again soon!! xoxo! love your shoes and you look great! I already follow your blog and i'd really love if you followed mine too. Love the colours.. Not only you photograph really well but also you have a great taste inf fashion. Thank you very much! Oh I see, you love the sea haha :) I love it too. Merci de ta visite sur mon blog, j'adore tes tenue et en particulier celle-çi c'est pour ça que je poste mon commentaire içi. C'est vraiment très bien construit, cette silhouette est parfaite ! you have a perfect sense of colours!! absolutely fabulous look! bacci e abracci!